A star-studded jury has selected the winners of the American Academy of Arts and Letters' 2015 architecture prizes. Elizabeth Diller (chairman), Henry N. Cobb, Peter Eisenman, Kenneth Frampton, Michael Graves, Richard Meier, Laurie Olin, Cesar Pelli, Billie Tsien, and Tod Williams chose the awardees from among 41 nominations. Sheila O'Donnell and John Tuomey of Dublin's O'Donnell + Tuomey took home the $20,000 Arnold W. Brunner Memorial Prize, for which any architect "who has made a significant contribution to architecture as an art" is eligible. 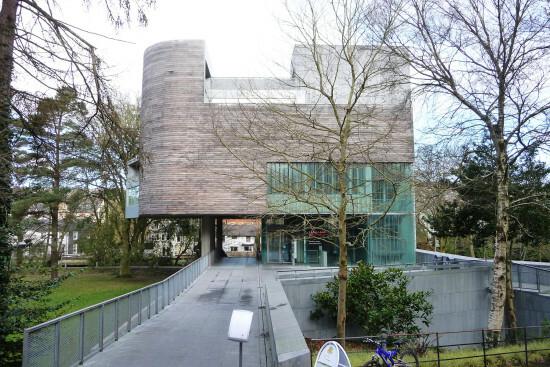 O'Donnell and Tuomey, who also received the 2015 Royal Gold Medal from the Royal Institute of British Architects, are the creative team behind projects including the Sean O'Casey Community Centre (Dublin, 2008) and Belfast's Lyric Theatre (2011). The jury also awarded four Arts and Letters Awards in Architecture of $10,000 each. Yolanda Daniels and Sunil Bald, and Kate Orff won the first two awards, reserved for American practitioners "whose work is characterized by a strong personal direction." Of Daniels and Bald's work, which they undertake in New York as Studio SUMO, juror Billie Tsien observed, "There is always a sense of the weight of materials in what they do." Kate Orff founded New York landscape architecture firm SCAPE to combine research and practice on the urban landscape. Her recent projects include Oyster-Tecture for the 2010 MoMA exhibition Rising Currents, and Living Breakwaters for the U.S. Department of Housing and Urban Development, ongoing since 2014. Kurt W. Forster and Rosalie Genevro secured the second category, for an American "who explores ideas in architecture through any medium of expression." 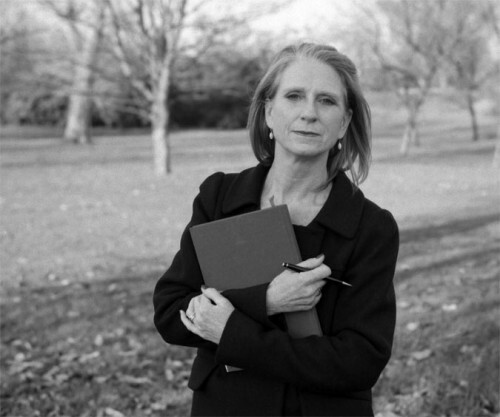 Forster, an architectural historian and founding director of the Getty Center for the History of Art and the Humanities, is currently an emeritus visiting professor at Yale. Genevro heads the Architectural League of New York. "Quiet wisdom as well as consistent and powerful leadership are hallmarks of Rosalie's 30 years as executive director," said juror Tod Williams. Select work by the winners, who will receive their awards at the Academy's annual Ceremonial and may, will be on display in the Academy's galleries on Audubon Terrace from May 21-June 14. The American Academy of Arts and Letters has announced its 2013 architecture awards recipients. The winners were chosen from a group of 32 individuals and practices nominated by Academy members. An exhibition of their work will be on display at the Audubon Terrace in New York City from May 16 to June 9, 2013. The Academy’s architecture awards program was established in conjunction with the 1955 inauguration of the annual Arnold W. Brunner Memorial Prize in Architecture, which is presented to a leading architect from any country who has made a noteworthy contribution to architecture as an art. Alberto Campo Baeza from Madrid, Spain won the $5000 prize this year. He has practiced and taught architecture for over 35 years at prominent universities in the U.S. and abroad. He turns architecture into art through utilizing timeless forms. Campo Baeza received the 2013 Heinrich Tessenow Gold Metal. Two Arts and Letters Awards of $7500 recognizing American architects whose work holds a strong personal bearing were presented to Teddy Cruz of San Diego, California and Thomas Phifer of New York. Teddy Cruz is an architect, academic, and activist who investigates the politics and economics that compel urban conflict. Thomas Phifer, who has led his own New York City practice since 1996, blends the beauty and simplicity of Modernism with awareness of the natural environment. Barry Bergdoll and Sanford Kwinter of New York each won an Arts and Letters Award of $7500 given to Americans exploring ideas in architecture using any method of expression. Barry Bergdoll, a 19th- and 20th-century architectural history scholar, is the Philip Johnson Chief Curator of Architecture and Design at the Museum of Modern Art. Sanford Kwinter is a witer, editor, and Professor of Architectural Theory and Criticism at the Harvard Graduate School of Design, where he co-directs the Master in Design Studies program.